It was a memorable night for the Shoremen in many ways as they hosted Normandy High School in a battle for first place in the GCHSHL Blue North Division on “senior night.” A tremendous third period effort propelled Avon Lake to a 6-4 win; thus clinching the division title and securing the #1 seed in the Baron Cup III playoffs. The Shoremen also reached the 20 win plateau in back-to-back seasons for the first time since 2004. Despite a slow start and trailing through the first two periods of play, the Shoremen never quit.The seniors led the comeback as Jared Aslaksen regained his scoring touch and registered a 3 goal hat-trick. The goals gave him 20 on the season. He now has scored at least 20 goals in all four of his high school seasons and has a career total of 130. 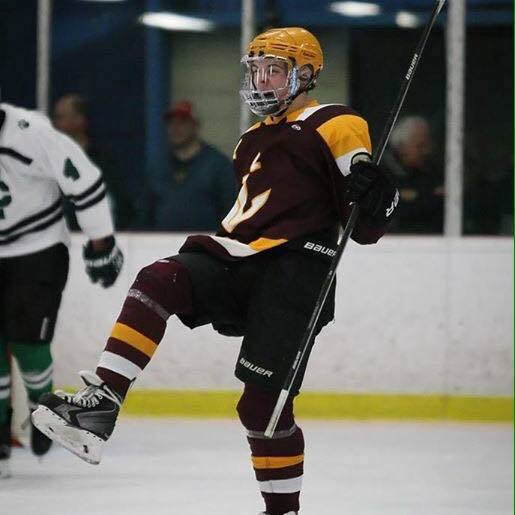 Fellow senior defenseman Joey Kleinhenz also scored for Avon Lake, his fourth of the season. Senior captain Patrick Graney and senior defenseman Connor Koncelik played strong games and were credited with assists on the night. In between the senior goals the under classmen stepped up as well. Tim Lubertozzi scored an important goal to tie the game with just over 6 minutes to play, which ignited the large home crowd. Just two minutes later sophomore Tommy Kacmarcik scored the game-winning goal (his third of the season) and 17th goal overall. Additional assists were all credited to sophomores; Kacmarcik, Nick Ospelt, Brian Walasinski and Colin Reynolds. Senior goaltender Cameron Stepka earned the victory and is now 8-0 in league games this season and 14-4 overall. Avon Lake is now 9-0 in divisional play and 20-6 overall. They do not have much time to celebrate as they take on Western Reserve Academy on Sunday January 28th at Rocky River’s Hamilton Arena at 7:35pm. 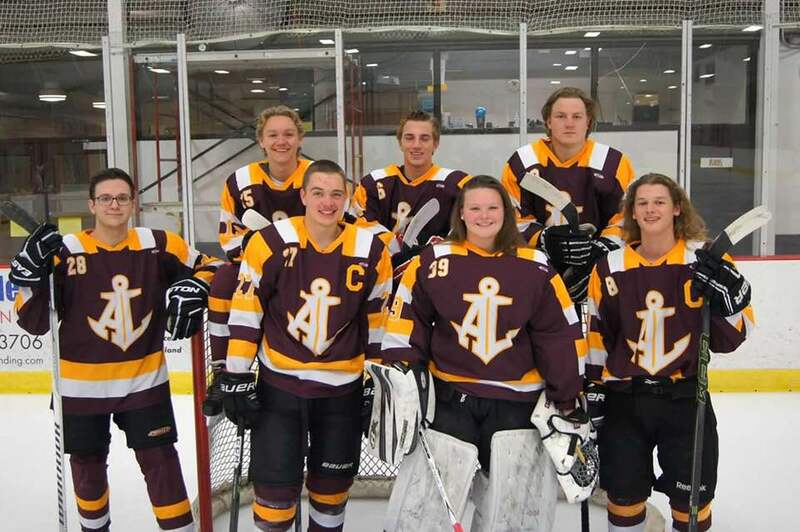 The final GCHSHL Blue North Division game of the season will also be at home on Tuesday January 30th when the Shoremen take on Aurora High School at 8:35pm.